A mysterious magical way of capturing images & emotions,plans & projections,dreams & hopes,Perceptions & passions is Printing to Impact Print & Pack. The well-equImpact Packaginged pre press department has the technologies and responsive experts who can handle all kinds of data files with ease and enhance text and images to maximize their effect and add value to clients' creativity. Mac and PC platforms and programs like PageMaker, InDesign, QuarkXPress, Illustrator, Photoshop, and CorelDraw allow the department the flexibility to work with client files. Printing is not only about machines and materials. It is a mysterious process & a story. It is about capturing on images and emotions, hopes and dreams, passions and perceptions, plans and projections. A complex story to be told in a simple manner, quietly backed by skills, schedules, deadlines, deliveries, quality and costing. "Machines and people can do great work together" Impact Packaging Values this. The Company uses latest Computer-to-Plate (CTP) technology, where digital artworks go directly for plate making.It eliminates the traditional procedures and ensures splendid sharpness, colour fidelity and density. 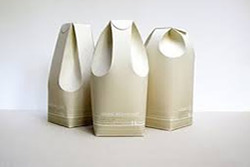 Impact Packaging understands the urgency of schedules and deadlines. Knowing that often only a very small and completely non-negotiable margin of time is made available for printing, which is squeezed between the finalization of creative work and the actual need of the finished print job. Impact Packaging in-house, full service expertise and infrastructure make it possible to offer solutions for any printing requirement – small quantity or bulk run, complex and subtle 5-colour design jobs or simple single colour ones. 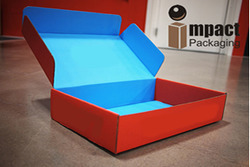 Any size, colour, quality, quantity or budget, Impact Packaging has a solution. The in-house cutting and finishing department with modern machines guarantees perfect finish and trim, saves time and prevents transit damage to untrimmed printed sheets. The equipment includes knife trimmers, punching and die-cutting, foil-stamping and embossing. To provide better quality in pasting Impact Packaging has installed folder gluer machine for pasting the boxes. This machine can paste any type of boxes with precision & also in high speed. Impact Packaging is one of the leading manufacturers of E Flute, F Flute & Narrow Flute corrugated boxes in Delhi NCR having production capacity of 3 Ply, 5 Ply & 7 Ply in its own plant. 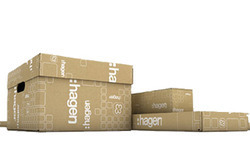 We manufacture ultimate quality of Corrugated Boxes to meet the constantly increasing demand in the market. Our ultimate goal of entering in this sector is to offer every type of quality packaging boxes to our customers from a single facility. A simple paper can actually support & carry tones of material together. It is designed & manufactured in such a way that you can pack anything from medicine, auto parts, textiles, machinery to marbles. Impact Packaging has a range of on-line and off-line lamination facilities to heighten beauty and enhance durability of expensive print jobs. Lamination protects the richness of colors from fading or discolouring and white surfaces from soiling through repeated handling. Lamination is available in gloss, matt finish to suit individual taste and the special need of each particular job. Hi-tech machines apply the aqueous online coating in the same pass as the printing, saving time and labour. UV is a specialized coating for high gloss surface finish and is an environment-friendly alternative to lamination. UV-curing gloss coating is available in gloss, matte, raised and sandpaper finish, and full page or spot format. Spot UV coating is ideally suited for highlighting a particular area in a page, such as a photograph or company logo as a design feature, to protect and increase the depth of colors or to draw attention. The mechanized and manual checks at every step of printing and finishing make sure that only perfect pieces leave the Impact Packaging's printing department. The packing department takes over from there to make sure that print jobs reach their destination in the same perfect condition. Automated shrink-wrapping, stretch wrapping, thermocole and water-proof plastic sheets are used as necessary. 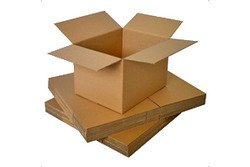 Standard 5-ply and 7-ply corrugated cardboard boxes and clear labeling are used for packing and easy identification. Aluminium Foil, Polyester, Bopp And Poly (Hm, Ldpe And Pp) Laminate Job Is Outsourced To Our Sister Concern Company. The Company Is Situated Within The Same Premise Of Ours. 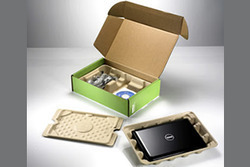 The Company Is Equimpact Packaginged With Very High Tech Machines To Supply Quality Product On Time. Printing:2 Rotogravure Machines Of 9 Colors Each With Auto Registration Control. Lamination:Dry Lamination Specialty In Foil Paper Lamination Used In Confectionary, Butter Chiplet & Contraceptive. Slitting:2 High Speed Slitting Machines, With Perfect Winding. Ours single window service includes all the post press activities to guarantee high quality and better speed of finishing,delivering print jobs which are great works of art every time.